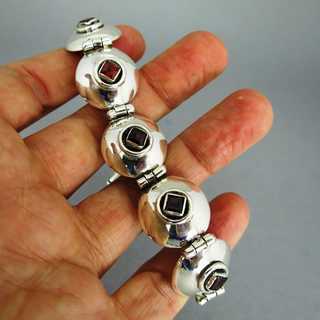 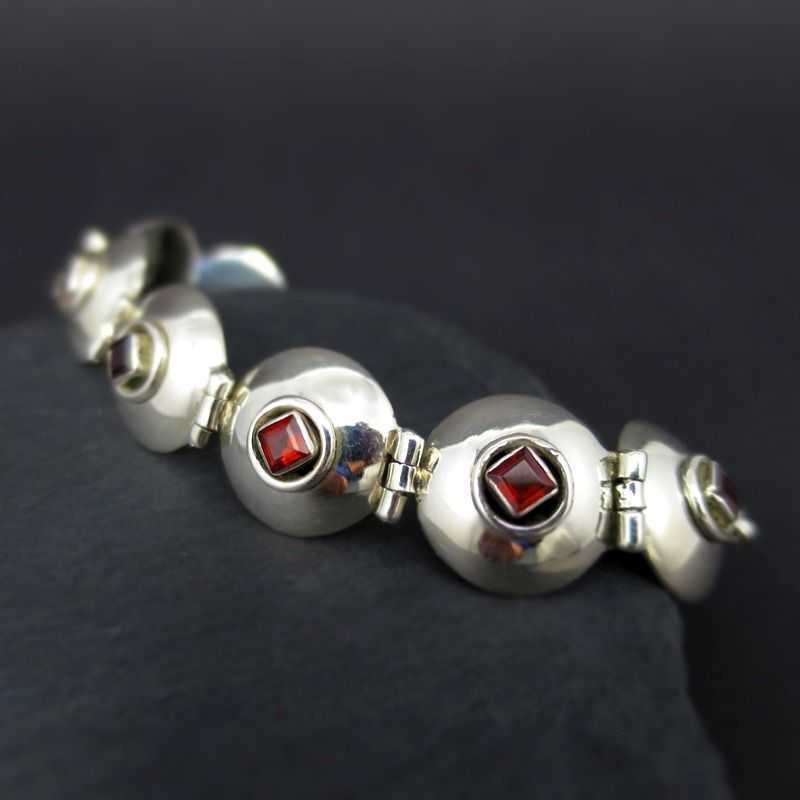 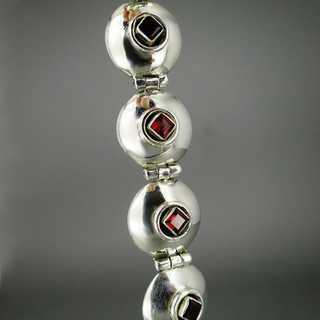 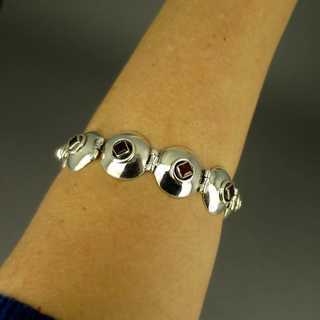 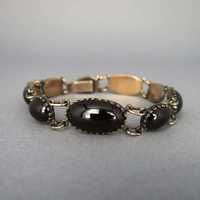 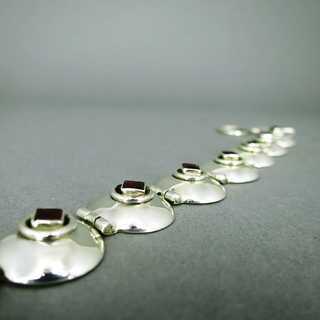 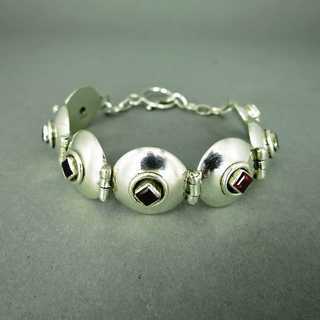 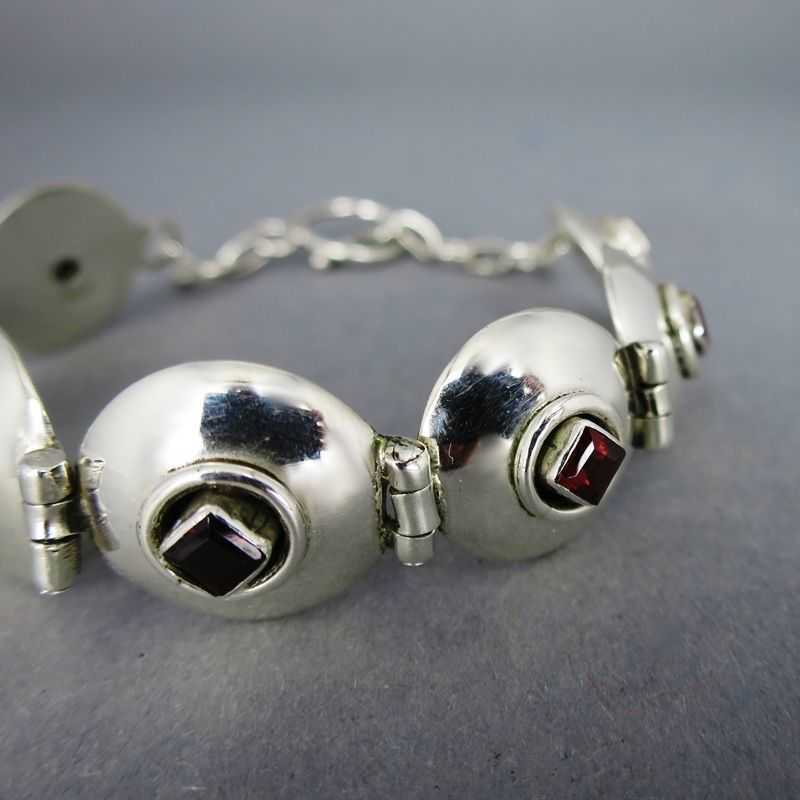 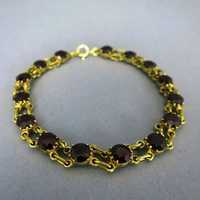 Elegant modernist design bracelet with garnets. The bracelet is composed from seven round, domed links, each filled with a square garnet stone in bezel setting. 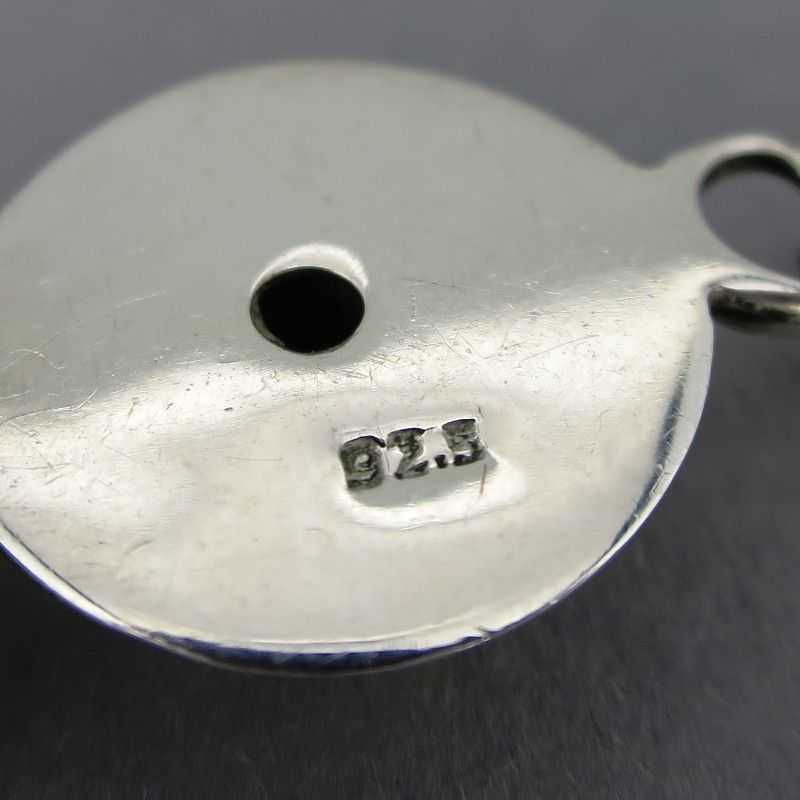 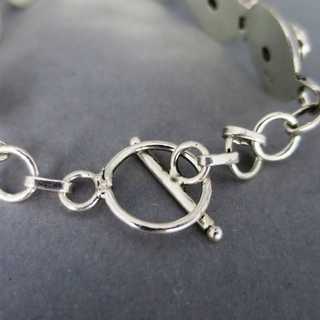 With chain and a ring and bar clasp.